What can I do with ICB Qualifications? Getting an ICB qualification is one of the best ways to prepare yourself for a career in business. Want to start a career in finance? Study their programme on Financial Accounting. Or become an office all-rounder with a qualification in Office Administration. You could even climb that corporate ladder with a Business Management qualification that will open all sorts of doors. Financial Accounting will give you the foundation for a career in accounting. Think you can’t do this because you don’t have Maths? Think again! You only need to have finished Grade 10, and be at least 16 years old. ICB’s Financial Accounting programme will open many doors for you. 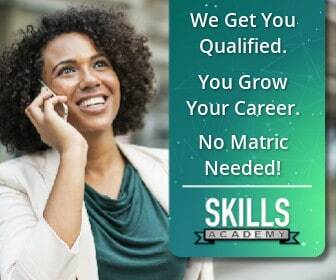 After completing the first level, the National Certificate in Bookkeeping, you will already have a qualification. This means that after just 12 months, you will be able to apply to junior bookkeeper, accounts clerk and payroll clerk positions, with a certificate in hand! The programme for ICB Financial Accounting is the only one with four levels because the end result is two diplomas: National Diploma: Technical Financial Accounting, and National Diploma: Financial Accounting. With the diploma in Technical Financial Accounting, you can apply for positions like tax technician, accounting technician, and financial manager. If you have the National Diploma: Financial Accounting, you can apply to even higher positions like a financial accountant, accounting officer, and tax practitioner. The ICB Business Management programme is an excellent stepping-stone for anyone who wants to make it in the corporate world. You will learn a bit about everything a business needs, from accounting to marketing management. Out of all the ICB Qualifications, this is probably one of the most important. There are three levels in the ICB Business Management programme: the National Certificate in Small Business Financial Management, the Higher Certificate in Office Administration, and the National Diploma in Financial Accounting. Each one of these levels will bring you closer to achieving that coveted management position – be better than the other candidates! The ICB Office Administration programme is the only course where you need to have your matric. An office administrator is someone that can do everything that needs to get done. From writing up reports to scheduling meetings to advising on corporate best practices, to managing an office. The list goes on and on. At each of the three levels in the Office Administration programme, you will get a certificate in hand. At the end of the Certificate in Office Administration, you will be able to apply to jobs like office assistant and receptionist. When you get your Higher Certificate in Office Administration, you can go for secretary, office administrator and general office manager positions. Finally, with the National Diploma in Office Administration, you can get jobs like office manager, administrative manager and other management positions. The ICB programme in Public Sector Accounting is perfect for someone who wants to work in government and non-profit organisations. Here you will learn how to keep an organisation honest – you will learn how to administrate public accounts and use government resources as efficiently as possible. This is a very undervalued qualification, as people don’t always know how big of an impact they can make to their communities and their country as a whole. The three levels of ICB Public Sector Accounting will teach you what you need to know in a government position. They are the National Certificate: Public Sector Accounting, Diploma: Public Sector Accounting, and National Diploma: Public Sector Accounting. The full qualification will take 36 months to complete. It is a nationally recognised qualification. This means you have a high level of skill in this field. The ICB programme in Entrepreneurship is the Jack of all Trades. This programme helps you to obtain skills from three different courses. It gives you the tools you need to succeed in any environment! This programme teaches you exactly what you need to know to start up on your own or to work with someone and make it a roaring success. The broad variety of skills it covers ensures you will be able to adapt to any environment. The three courses you deal with, are National Certificate: Small Business Financial Management, Higher Certificate: Office Administration, National Diploma: Financial Accounting. Each step covers core concepts to make a business flourish. You will be able to start your own company and be a success. But you willalso be able to take it further, expanding to a national or even international level. As you can see there is something for everyone, making ICB Qualifications a great choice for all. You can get a great start to a successful career, so don’t waste another second!